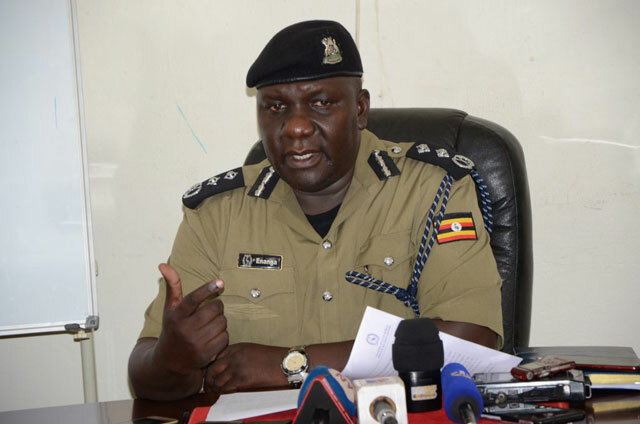 KAMPALA – Uganda Police have Friday afternoon confirmed that IGP Okoth Martin Ochola, has been summoned by Kampala High Court to explain the Force’s failure to pay Shs49 million in compensation to a journalist who was shot and injured during the 2011 walk to work protests. Police spokesperson Fred Enanga confirmed the development a February 1 statement. Mr Enanga says that the matter arose from a ‘regrettable’ incident that occurred on the 12th may 2011, where the plaintiff, Tugume was shot in the right knee by the Police at Kibuye roundabout while on duty as a journalist, then working with Capital FM. He adds that on 25th, July 2017, a consent order by mutual understanding, for an out of court settlement was amicably arrived at, to pay special and general damages for the unlawful wounding and that Tugume has already received part of the payment. “The balance has been scheduled for payment during the 3rd quarter release from the Ministry of Finance. We do encourage Mr. Tugume Gideon, to exhibit a little more patience, as we await for the finance release,” Enanga wrote. Mr Ochola, alongside police’s Human Resource Director Erasmus Twarahukwa and Undersecretary Rogers Muhirwa are accused of refusing to fulfill the terms of the agreement made before the Uganda Human Rights Commission on 25th July 2017 to pay Tugume.